That’s what Valerie Morrow told NBC10 Investigative reporter Harry Hairston just hours before she died, allegedly at the hand of the Delaware County police officer she feared. 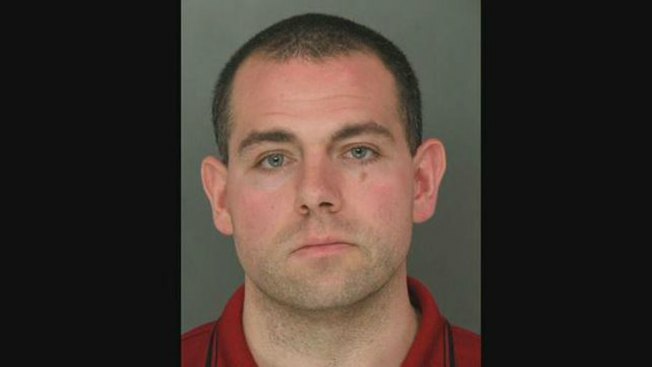 Stephen Rozniakowski, an officer with the Colwyn Borough Police Department, wore a bulletproof vest when he kicked down the door of Morrow’s home on Glenfield Avenue in Glenolden, Pennsylvania around 9 p.m. Monday and began firing, according to investigators. The shooting came just three hours after police served Rozniakowski with an court order to stay away from Morrow, and days before he was due in court in a separate stalking case. “He went there to execute the entire family, in my opinion. I have no doubt about that,” said Delaware County District Attorney Jack Whelan. Valerie Morrow was shot and killed by her ex-boyfriend and former police officer Stephen Rozniakowski, who also wounded Morrow's teenage daughter, investigators said. Morrow's husband, an officer from another town then shot Rozniakowski, wounding him. This comes after Morrow had reached out to NBC10's Investigators saying she believed Rozniakowski wanted to kill her. He shot and killed Morrow then shot Morrow’s teenage daughter in the arm before Morrow's husband Thomas Morrow, an off-duty Morton officer, returned fire. After the shooting, Rozniakowski called in the shooting on his police-issued radio. “I am the actor,” the 32-year-old told dispatchers. Earlier in the day, Morrow reached out to Hairston because he previously covered past stalking allegations against Rozniakowski. Morrow told Hairston she dated Rozniakowski for months before ending the relationship in August to reunite with her husband. In the weeks and months that followed, she said Rozniakowski called and texted her repeatedly with threatening messages. She agreed to come in for a Tuesday interview. but it never happened after she was killed in her own home. At the time of the shooting, Philly police were working on an arrest warrant for Rozniakowski after he allegedly keyed Morrow’s car while parked at a Center City garage. A former Colwyn Township police officer shot and killed one woman and injured two others, according to officials. Stephen Rozniakowski went to the home of a Morton police officer on Monday night and fatally shot his wife, authorities said. Before the fatal shooting, Rozniakowski called the Colwyn Borough Police Department to announce his resignation, investigators said. About three hours before the shooting, Norwood Police served the suspect with an emergency court order to stay away from Morrow. At the time they took away his service weapon and asked if he had any other weapons but Whelan said Rozniakowski told them he didn’t. He used a private weapon in Monday’s attack, said police. Rozniakowski was taken to Crozer-Chester Medical Center where he remained in critical but stable condition Tuesday night, according to officials. Whelan said he will consider pushing for the death penalty when Rozniakowski is tried. Hairston put a spotlight on Rozniakowski earlier this year when the officer was placed on "administrative leave" after his former fiancee filed a protection from abuse order against him. 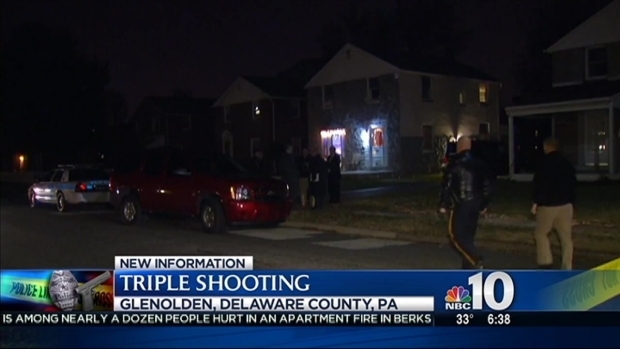 One person is dead after a triple shooting in Delaware County Monday night. Plymouth Township Police arrested Rozniakowski and charged him with 25 counts of stalking and 50 counts of harassment for allegedly contacting his former fiancee with repeated phone and text messages. "As a police officer, he knows the bounds and what the boundaries are and what the laws are," said Marty Mullaney, an attorney for Rozniakowski, told NBC10 in April. "I think his emotions got the best of him." At that time, Rozniakowski had his police-issued gun taken away, Hills said. The suspect was scheduled to appear in court Thursday on those charges.